A vision document celebrates the future of church planting in Ohio. 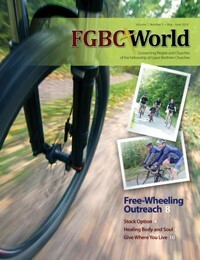 Read all about it in the March-April issue of FGBC World, which is available online at fgbcworld.com. FGBC World is an all-fellowship, all-Grace Brethren newspaper that is published six times a year. In its pages you will find stories about the Grace Brethren family around the world – from individuals who are on the front line of ministry to organizations that help impact lives for Jesus. Pick up your free copy of the March-April issue at your local Grace Brethren church, see fgbcworld.com or subscribe online to have your free copy delivered directly to your mailbox.